The gray CMR Microphone Amplifier for Colette Series Capsules from Schoeps allows you to use a Schoeps Colette microphone capsule with a bodypack transmitter that does not provide 12- or 48-volt phantom power. It has a 6.5' long cable and features a TA5-F connector wired for Lectrosonics bodypack transmitters. 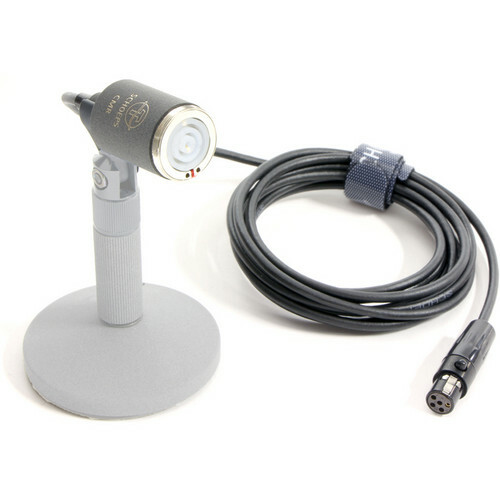 The CMR has low power consumption, using approximately 1/20 to 1/48 of what a typical phantom powered mic would use. Its cable is reinforced with Kevlar fibers, allowing it to remain flexible in low temperatures while preventing twisting. Box Dimensions (LxWxH) 7.3 x 5.8 x 2.3"